All the colours have a lesson for us, energies to give us and wisdom within them. If we learn to understand their language they can help us to grow peacefully into healthy, caring, motivated and brilliant people!! and sometimes harmful colour rays of ultra violet and infrared are used by the medical profession to heal. The middle rays of the spectrum are the colours that are usually just taken for granted though and few of us realize the importance of their energy or their healing ability. Colour surrounds us from the day we are born. It is used every day to describe our health, attitudes, emotions and our behaviour. Learning and understanding the power of colour and its meaning can give us insights into ourselves and others. Using colours to heal can help us to balance our energies and appreciate and value all our experiences. We usually only use 9 colours for healing but here I have added black, brown, pink, white, gold and silver as we all use and wear these colours so it is important to know their meanings. Black is the energy of protection. It is a colour of mystery and potential. It gives us a strong sense of discipline, order and self-control. 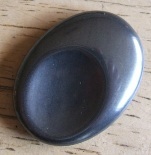 Black can be used for shielding, deflecting negative energy and anchoring energy. It will ease pain and protect us from the effects of pollution. It helps us to face our fears and gives us more control over our experiences. Brown has the calming, soothing energy of security, of reassurance and supportive strength. It brings us a quiet powerful determination to grow and be seen to be here. Brown can be used for grounding, focus, concentration, self discipline and loyalty. It can help with circulation problems, back pain and mobility. It will aid digestion and elimination. It is a colour of comfort (chocolate!) and will always assist us in feeling grounded and safe. Red is stimulating and enlivening. It brings the energy of excitement, passion, strength and courage motivating us into action. Red can be used for extra energy, courage, direction, drive, enthusiasm, strengthening your immune system, circulation problems, low blood pressure, anemia and colds. Aches and pains in legs, feet or bones in general. Most bowel problems can be eased by using red. Red is the colour of survival and will help us to be grounded and give us the will and determination to succeed. Orange is revitalizing, enthusiastic and friendly. It helps us to assimilate energy and explore all our relationships at every level. Orange will help when you need change in your life. It brings the energy of motivation, creativity, liveliness, cooperation and stamina. It eases the symptoms of trauma, depression, grief, asthma, bronchitis, liver and kidney problems, IBS and aches and pains. Yellow is empowering, optimistic and happy. It brings the energy of clarity and light. It energises the brain and helps with confusion. It will help you to be assertive, objective, positive and cheerful. Yellow can be used for confidence, ambition, success, abundance and will power. It will help with skin and digestive problems, eating disorders, learning and studying. Chronic fatigue and ME can sometimes be helped by yellow. It is also used for fears and phobias. Yellow is the nearest colour we have to sunshine so it will always make you feel more optimistic and happy. Green is neutral, balanced and harmonious. It is healing and both calming and energising. Green will bring you the understanding you need to love without conditions both yourself and others. It will help with all issues concerned with stability, diplomacy, adapting to change, cleansing, detoxifying, stress, anxiety, heart problems and ulcers. 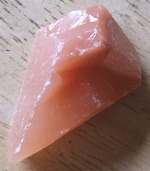 It aids memory making it an important healing colour as many of our illnesses originate from past experience. Turquoise is cooling, calming and peaceful. It brings the energy of freedom and openness. It encourages us to be imaginative, self questioning and communicate clearly. It will help with relaxing, tranquility, independence, self esteem, boosting your immunity, breathing problems, throat and chest infections. It fights infection especially septic conditions. It can protect us from any kind of pollution and is great for helping with deficient immune diseases. Blue gives us the energy of peace and honesty. It is soothing and calming bringing rest, serenity and tranquility. It helps us to peacefully reflect on our experiences and focus on solutions. Blue is patience and perseverance. Think Blue if you lose your temper. It will help with communication, empathy, teaching others, peace and stillness. It will aid with lowering blood pressure, fighting infection and calming stress and irritation. It is good for sore throats and laryngitis, stiff necks and reduces inflammation. 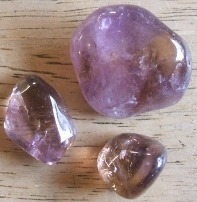 Violet is soothing, purifying and balancing and it helps us to be creative and find our spiritual path. It brings faith and hope inspiring us to listen to our higher selves. Violet can be used for self worth, calming anxiety, insomnia, tension headaches, infections and allergies. It restores energy and alleviates depression. It also eases sciatica. Magenta is the energy of recognition and equality. It can give us release and completeness. It brings the awareness and understanding that we need to love and care for humanity and our planet. It is the colour of nurturing and compassion. Magenta can be used when you need to let go of the past and change old or damaging behavior patterns. It teaches us to embrace the future bringing hope and acceptance that all is the way it should be. It is good for balancing hormones and fluid retention. It has been used for cysts and tumors successfully and tinnitus. It is a wonderful colour for bringing passion and understanding into leadership. and self acceptance. 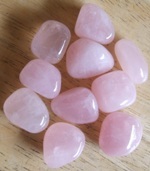 Pink aids digestion and is good for losing weight especially if used with turquoise. It also helps with skin problems and puffiness. It will ease heart problems, burns, blisters, hormone imbalances, panic attacks and MS symptoms. It is wonderful for raising self esteem, easing stress and calming damaging emotions. White brings the energy of peace, unity, completeness and equality. Brilliance and white contain all the colours so will always bring the energy surrounding them into balance. They give us vision and hope They are used for amplifying and purifying energy and will cleanse and balance the mind, body and spirit. They ease skin problems, clear the lymphatic system and strengthen bones. Silver brings us the energy of Reflection It stills the emotions and lights our way. you to develop your wisdom. Gold encourages you to succeed in all you set out to do. As life changes so do our choices. Colours act as a mirror to tell us how we may be acting or reacting to what is happening in our lives at this time. They give us a reflection of ourselves from an inner subconscious level which can help us to change the conscious decisions we make. The colours we wear, the colours we eat and the colours we surround ourselves in can tell us a lot about ourselves once we known how to read their language. "Do not be afraid of growing slowly be afraid of standing still"